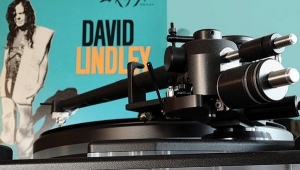 Most such tweaks have come from outside of Glasgow: support platforms from the Sound Organisation and Mana Acoustics, power supplies from Naim Audio and Pink Triangle, diverse accessories from Origin Live, and tonearms from Naim, GB Tools, Alphason, Syrinx, and scores of others. But every now and then someone in the Linn organization itself comes up with a retrofit that passes muster and lives to see the light of commerce. 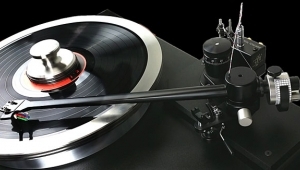 So it has gone with Linn's new Keel subchassis ($3250), Ekos SE (for Super Evolution) tonearm ($4950), and Trampolin turntable base ($250). Earlier versions of the latter two have been with us for a while, the Ekos arriving in 1988, the original Trampolin in 1991. Yet the new Linn Keel represents the first change to the LP12's mechanicals (footnote 2) since 1992's Cirkus upgrade, which comprised a beefier bearing housing and subchassis, the latter accomplished with an extra piece of sheet steel. 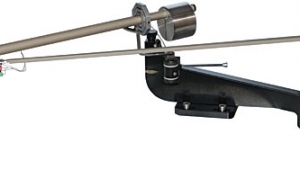 The Keel goes further along the same road— much further: It's a single-piece subchassis, tonearm board, and Linn-specific tonearm mounting collar, all precisely machined from the same piece of aircraft aluminum. 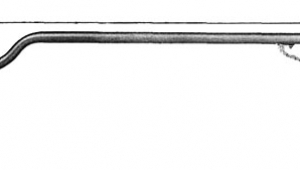 (Photos of the manufacturing process, available on Linn's website, show that one large billet yields two Keels.) 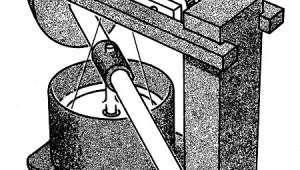 Advocates of the closed-loop approach to turntable design, which requires linking the platter bearing and tonearm base to one another as rigidly as possible, will see the concept behind the Keel as something of an ideal, far surpassing earlier attempts that either disperse energy unpredictably (using oversized nuts and bolts to clamp the wooden armboard to its steel subchassis) or muffle the energy, thus breaking the loop (replacing the metal subchassis with one made from supposedly nonresonant materials). 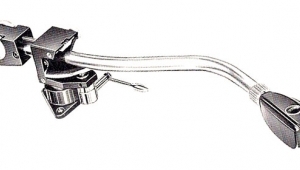 The Keel also holds the potential for eliminating a problem that has plagued some samples of the LP12: platters and tonearm boards that aren't in precisely the same plane as one another, leading to azimuth errors at the cartridge. 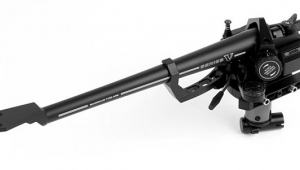 The new Ekos SE tonearm seems a less radical product. It looks identical to the original Ekos in all but color, yet two considerable changes lurk beneath the surface. 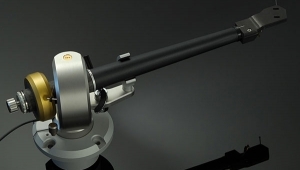 First, the armtube is machined from titanium tube, in an effort to smooth out resonant peaks that might audibly color the signal while still transmitting energy as only a metal tonearm can. 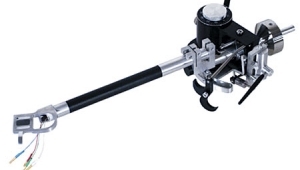 Second, and probably more important, the Ekos SE is constructed around a newly designed stainless-steel main pillar and bearing cradle, in order to maintain perfect bearing adjustment in the face of both temperature extremes and user abuse (overtightening of the pillar locking screw, indelicate cartridge installation, etc.). 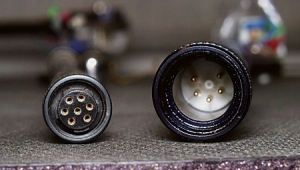 Linn's approach is to reject the use of dissimilar materials for those parts in the interest of retaining identical rates of thermal expansion and contraction. The Trampolin remains the most affordable Linn retrofit—and the easiest to install. 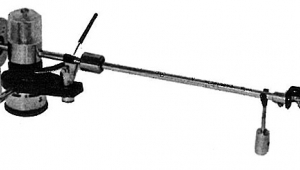 This accessory baseboard uses four diaphragm-style feet to isolate the player from disturbances in the sub-40Hz range: an auxiliary suspension in all but name. Originally made of laminate, the curiously un-renamed Trampolin is now stamped from a fairly thick sheet of aluminum, with a thin damping sheet applied to the inside surface. The new baseboard is more rigid, of course, and has an integral grounding lead for connection to the LP12's front main bolt during setup. I received review samples of the Ekos SE, Keel, and Trampolin in early June, and set right to work installing them in my own Linn Sondek LP12: Long ago I bought my own Linn setup jig, and over the years I've accumulated various other pertinent tools, including the Linn Speedchecker strobe, a selection of Posi-Driv screwdrivers, the indispensable 100gm bubble level from Mana Acoustics, and my new favorite toy, the official Linn Bolt Straightener, designed for lining up the LP12's five main bolts with something very like perfection. The point being: I enjoy doing my own setup work (footnote 3). 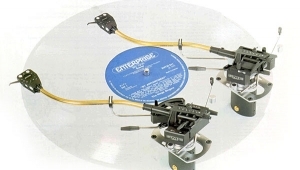 Footnote 1: Second place was a remarkable three-way tie among the Audio Research SP6 preamp, the Rega Planar 3 turntable, and the original AR turntable—proving once again that people who read Stereophile have good taste. 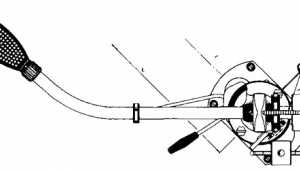 Footnote 2: There are no plans to make the Keel a standard part of the LP12: It will remain in the product line as an upgrade, although special pricing will be available for consumers who want to buy a brand-new, fully loaded Linn Sondek, with the Keel in place of the original subchassis and armboard. Footnote 3: Near the end of June, Steve Carroll and Alistair Steel of Linn, Inc. came by to check my setup work, and pronounced it good.